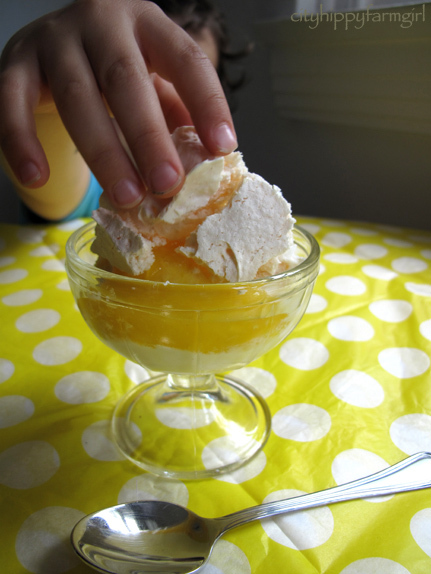 This entry was posted in Food Glorious Food and tagged easy, icecream, lemon curd, lemon meringue, meringue, quick desserts by cityhippyfarmgirl. Bookmark the permalink. I think I’d be smiling if I was just about to be allowed to eat a whole bowl of the lemon meringue ice-cream. Sticky fingers couldn’t be kept away! I just happen to have a jar of homemade lemon butter in the fridge. Yum. OH MY! I’m definitely making this. It looks absolutely amazing! I hope you do Imani, easy and tasty. I love how you have presented it. It looks gorgeous. What a great take on Lemon Meringue Pie! 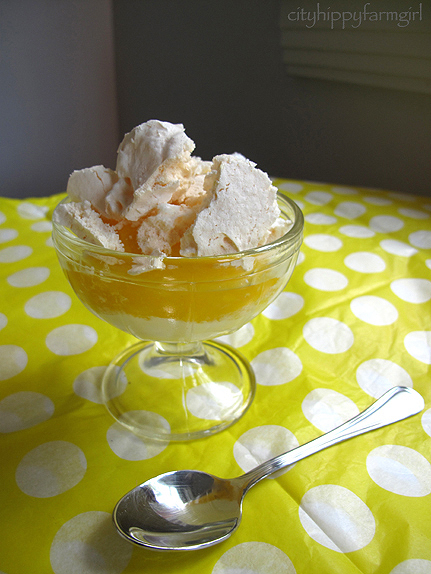 How the heck is anyone likely to resist LEMON MERINGUE ICE CREAM? Two of my favourite things rolled into one. Oh, that smile 🙂 Almost better than the ice cream! I want that now instead of my dinner….I can literally taste the lemon!! No wonder that child is grinning so widely – I’d be doing the same in similar circumstances, I suspect! Why have I never heard of lemon meringue ice cream?? I try so hard not to use many lemons because we can’t grow them (too cold) but this one looks too good to resist. It’s the sort of thing you eat once in awhile and then happily dream about for months later. Barbara that semi freddo of yours looks amazing! Your kitchen is a place of culinary delight and the most joyous of monkey smiles! Love the little boy enthusiasm- and the lemon meringue ice cream- fabulous idea! Wow, that would be enough to tempt anyone, especially a cute little cherub! Love the all the citrusy color in the shots. Happy Valentine’s Day! 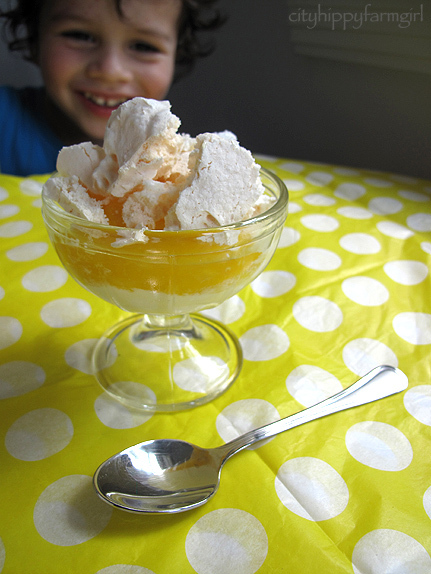 It doesn’t get any better than this – lemon curd, meringue and ice cream – sheer bliss! If it wasn’t so late, I think I’d raid my fridge. I have one jar of lemon curd lurking somewhere on the back shelf. Perhaps tomorrow. Crikey Mariana, that was late. Seems like the perfect time to be cracking open a jar of the good stuff and dolloping it on your icecream. Yum!!! I have added you to my blog list links! nice! how can they resist! I don’t think I could have waited long enough for you to take the first two shots! Trust me, the little fella couldn’t either. Hi! wonderful blog! Would you please tell me where you bought the stamp for the italian rosetta rolls? I have been wanting to make them ever since i tasted them in italy. thank you! Delicious. I love anything lemony. Yum.